OZB is a media platform that encompasses a high-quality, glossy, free, monthly magazine (with our fifth magazine currently printing), a website, social media and events. 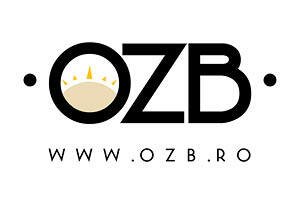 OZB celebrates the best of modern Romania in English. OZB’s main focus is upon lifestyle and culture with articles about travel, food, fitness, books, music etc along with offering informed insights into this fascinating country’s past, present and future. We communicate to the fast growing international community here as well as those many Romanians whose lives cross with this community through school, social, business etc. We print 3,000 magazines and these can be found in the international schools, the embassies, the five star hotels, World Class gyms, Starbucks, Teds and a number of restaurants and bars. The website reflects the magazine but is updated daily and it is currently averaging upwards of 5,000 visits per month, with 1,500 followers. OZB has a core team of a UK journalist/editor – Douglas Williams; a Dutch commercial director, Marcel de Roode; a Romanian marketing director Fulvia Mierosu and a Romanian designer Ada Popescu. In addition we have a team of the highest quality contributors, mostly from the UK, including Kit Gillet, Stephen McGrath, Mike Ormbsy, Arabella McIntyre-Brown and Clare Nuttall.